Would love to give it a try. Got to love the many layout options. Really impressive and professional frmawork. Wish more themes over the web will be powered by it. Hope to win it and use on my WP projects. Thanks for the opportunity guys! @NiceThai: You can do it with Xtreme One in minutes. @all: I wish you luck! It looks like a great framework, I can't wait to check it out. Would love to use it in my new css learning projects, can't afford it yet tho. 8( Looks great though. Looks like a great framework...would really love to put it to work! I hope I win the raffle! I'm putting my comment in... Looks like a great system! Keep up the great work! Another framework to play around with. They keep getting better as people work out the kinks. Looks like a great framework. Eager to try this. Hope to get a free copy! @all, thanks a lot for your compliments. We are glad you like it! Good luck to everyone! Nice framework, would be happy if I win one and can test it. Nice child theme friendly framework. The framework looks great with some excellent features! Would love to have this and try developing new themes.. This is great! I'm about to start a new WP project! it's awesome ! I hope i'll win. it's great for WordPress buddies! Yes, this is a wonderful offer indeed. And after browsing through the features myself, I am impressed with the feature which allows solid, fluid and flexible layouts. No doubt, this will be highly useful for my current project. Building a site upon a framework increases dev time. So many buttons and switches and stuff! I... I want to push all of them. The xtreme framework for free? That is xtremely awesome. I'll hope to get it. Xtreme One looks like a nice WP framework. Definitely considering this one. i've seen the demo of this theme before and it's really fantastic. i really want it so bad! Hope the framework is powerful ! ! Thanks to everyone and we are glad that you like what you see so far. @all, next week we will release a new version. So watch out for more great features! Of course the winner will get the newest version, since nobody needs to buy a new license for each update. 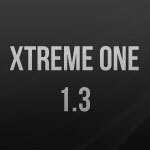 All future updates are included in Xtreme One. Now.The DevPress guys and WPEngineer are my WordPress gurus. I can't imagine what a great product roll out it must be, coming from my guru. i want this!! very nice pra xuxu framework theme! Very curious and hoping to get the possibility to try this framework out. Looks like a great framework! Xtreme One For the Win! Not only I want to use this framework, want to learn from it. Giveaway Framework Xtreme One dari WpEngineer.com — Critical Angle v.Live!